EAT your way to skinny! Let's face it, nobody says diet has to bring you grief. 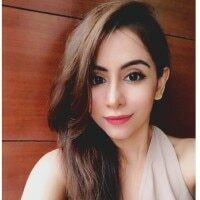 Apart from all the delish, healthy vegetables you can put on your weekly and monthly menus, you can pair the following veggies and fruits to make your diet super-fun. Taste + Health Goals = The Best Life! 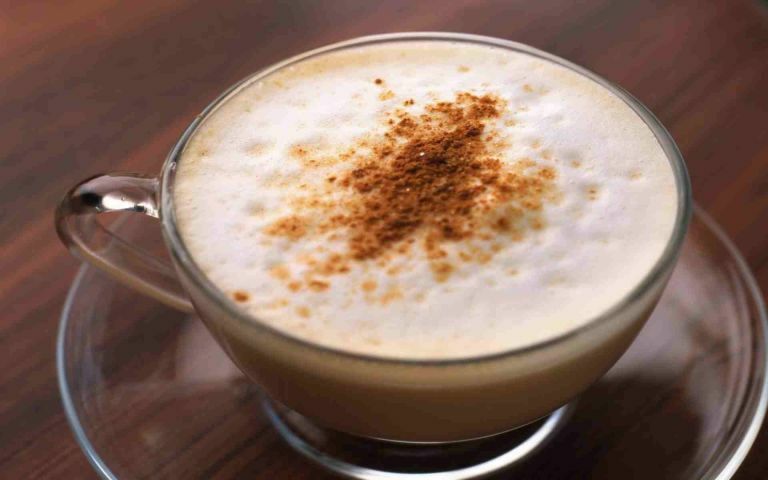 Cinnamon is calorie-free and can add a major kick to your coffee every morning. It contains effective antioxidants that reduce flab accumulation around your belly. Pairing it with a cup of caffeine promotes weight loss. Watermelon is one the best fruits for fat loss—it works wonders for your waistline. Apple is the best source of fibre of all the fruits. When you put the best of the best together as a salad, you've got yourself a solid defence against unhealthy flab. 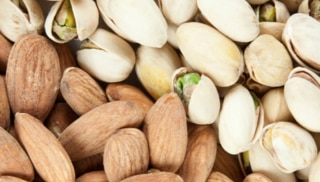 Ditch the starchy carbs and make room for a combo of almonds and pistachios. Eating these nuts instead of carbohydrate-based foods can help speed up the rate of weight loss according to researchers (in moderation, of course). Dark chocolate is a heavenly option for hopeful weight-losers. Cocoa contains antioxidants that help lower your blood-sugar level. 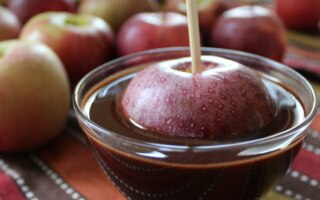 Pairing it with apples makes your stomach increase the rate of it's fermentation process and hence reduces weight. 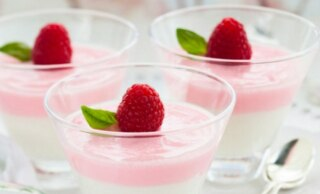 Raspberry is a great source of fibre and controls hunger. Pairing it with fat-free yogurt, a combination of Calcium and Vitamin D, decreases belly fat and weight in general. It may not sound like the best way to lose weight, BUT it's actually a clever trick. Like bananas, corn contains starch, a type of carb that SLOWS digestion. 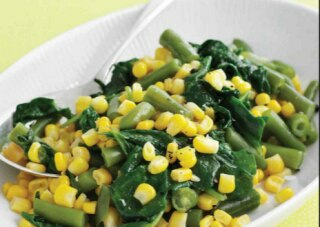 In turn, the body isn't able to absorb as many of the corn's calories, and eating a calorie-restricted diet with protein and fibre-rich legumes promotes weight loss more effectively than a calorie-equivalent diet that doesn't include beans (says a Spanish research study). Sprinkling pepper onto this meal to add flavour will also boost your metabolism. 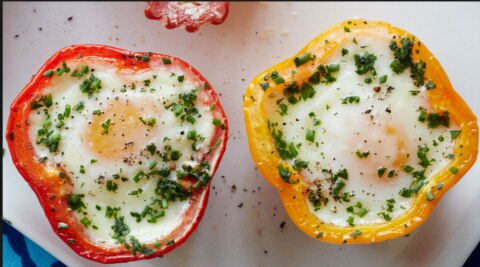 Eggs contain metabolism-boosting nutrients and peppers are a good source of Vitamin C. Both of them combined generate and fuel a nutrient called Choline that dials weight loss in the body. 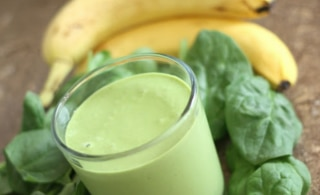 The starch in bananas not only makes you feel full, but also resists digestion. As a result, the body has to work harder to digest the food, reducing fat around your stomach in turn. Pairing this fruit with a low calorie vegetable like spinach makes a very filling option for the stomach, and burns fat too.